Approximately 14% of the York Taxi Fleet are now Low Emission Vehicles, most of these were converted through our innovative taxi incentive grant scheme. Taxi and private hire vehicles are an essential form of transport in the York area. Many people depend on such vehicles for trips when other forms of transport are unsuitable or unavailable. These persons include the vulnerable and some schoolchildren who are likely to be more susceptible to poor air quality and respiratory illnesses. 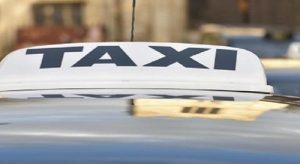 City of York Council has recently adopted a new taxi licensing policy, specifying minimum emission standards for new or replacement taxis, together with consideration of an age limit for vehicles. We have also facilitated the conversion around 14.4% (figure correct as of September 2017) of the taxi fleet (~111 vehicles) to low emission alternatives (Euro 5+ hybrid or electric); most of these were converted through our innovative taxi incentive grant scheme.